NASA is trying to create a foldable wing aircraft after being inspired from the hawk and its incredible nosedive when it folds its wings. NASA doesn’t want to have controlled dives, but there are many other advantages to this unique design, such as increasing the efficiency and capabilities of the aircraft. 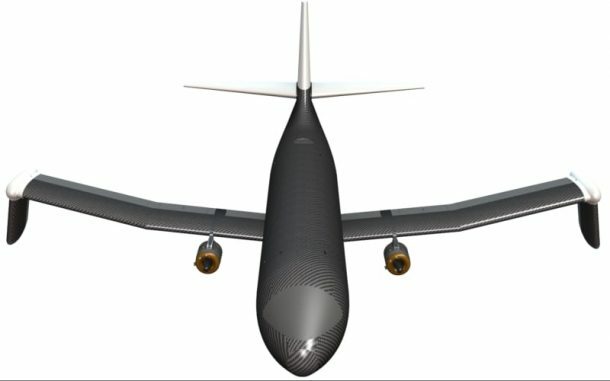 NASA calls the design Spanwise Adaptive Wing (SAW). Until now, articulating wings on aircraft was done to optimise parking area and to make them fit into smaller hangars. Having articulating wings also helped in easier movement between the airport infrastructure. But NASA wants to use smaller and adjustable wing ends along with more precise wing articulation and control capable of changing position dynamically to create the perfect balance between lift and yaw control as needed during different flight conditions. One use of this concept will be in supersonic aircraft. When the aircraft are flying at very high speeds, they create a lot of lift but consequently, have lesser yaw control. By folding the ends of the wings up or down, stability and yaw control will be enhanced, creating more vertical surface to augment the rear tailfin. But this will not happen at the expense of critical lift during the difficult takeoff and landing because the wings are still capable of straightening to add the lift surface to flight. This concept is now a reality courtesy advancements in the actuators required to move the wings, which have been changed from the more outdated and heavy hydraulic systems to more efficient and lighter electric ones. What are your thoughts on this aircraft wing folding concept? Let us know in the comments’ section below!